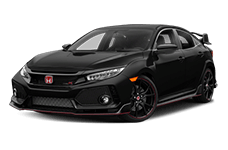 Brandon Honda in Tampa, FL is your one-stop shop for everything Honda, including the mega-popular 2015 Honda Civic. 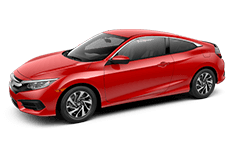 In either its sedan or coupe guise, the Civic has won the hearts of drivers all over the country with its excellent driving dynamics, comfortable, ride, and high-class cabin. Enjoy your daily drives through the beautiful state of Florida more thank you ever have from the comfortable driver’s seat of a new Honda Civic. The 2015 Honda Civic is well-suited for long trips and daily driving; see how it stacks up against the Nissan Sentra. The 2015 Honda Civic and the Nissan Sentra both get their power from a 1.8-liter four-cylinder engine. In the Civic, you’ll get much more pep when you push the accelerator thanks to 143 horsepower. The Sentra only musters 130 horsepower from the same size engine. 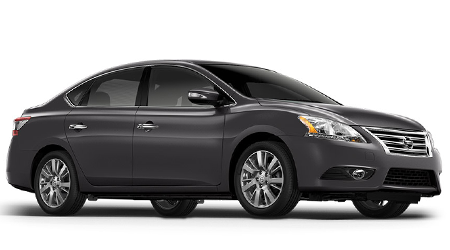 Nissan has more or less done away with its manual transmission models, and the Sentra comes only with a CVT gearbox. The Civic offers a five-speed manual transmission on its LX model for drivers looking for a little more connection to the road. Both the 2015 Civic and the Nissan Sentra offer seating for five passengers, but the Civic has the Sentra clearly beat in terms of standard equipment. Honda equipped this fan-favorite with cruise control buttons and redundant audio controls mounted on the steering wheel, a full set of floor mats, and heating ducts under the rear seats – all of which the Nissan Sentra doesn’t offer (unless you spring for the highest trim). Many features and amenities, like automatic climate control and a rear-view camera, don’t come standard on the Sentra ever and are only available as options for the highest trim grade. The Civic, however, offers those items standard at low trim levels. 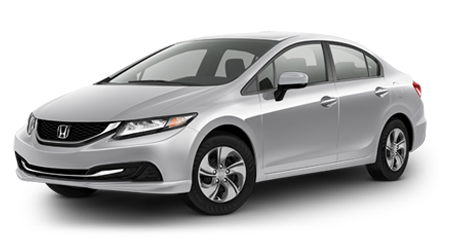 Honda equipped the 2015 Civic with loads of standard safety features, even at its low trim levels. Items you will find on the Civic like daytime running lights, a rear-view camera display, automatic headlamps, and an anti-theft alarm system are conspicuously absent from the Sentra in its base form. The Nissan Sentra did not score high enough marks to earn a Safety Pick designation from the IIHS. Discover how much more fun your daily drives can be when you’re riding in style behind the well-sculpted steering wheel of a 2015 Honda Civic. Brandon Honda has got the best selection and is ready to serve your family along with the rest of Tampa, FL.